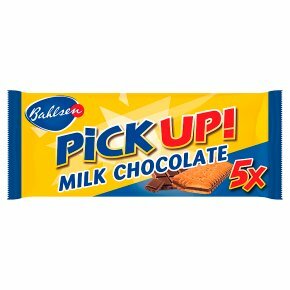 Milk chocolate bar (45%) between two crisp biscuits. A real chocolate bar. No added preservatives, artificial colours and hydrogenated fats. Suitable for vegetarians.